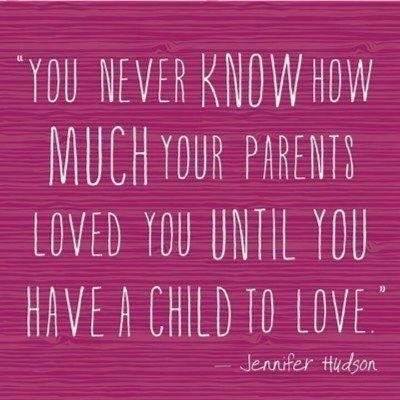 YOU NEVER KNOW HOW MUCH YOUR PARENTS LOVED YOU UNTIL YOU HA - ProudMummy.com the Web's Community for Mums. "YOU NEVER KNOW HOW MUCH YOUR PARENTS LOVED YOU UNTIL YOU HAVE A CHILD TO LOVE." I agree. My lil man celebrated 4 today!! !